For the past ten years, the SEMA Cruise has grown into a must-see event for automotive fanatics. 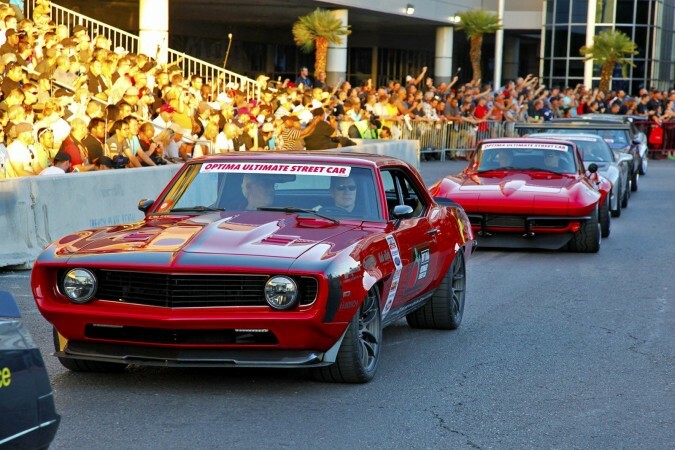 That’s because it is the ONLY part of the SEMA event that is completely open to the public, and even better, it gives gear heads a chance to see all of their favorite rides live and in action. That, of course, was why we at 4wheelonline were so excited to attend the event. And guess what? We weren’t disappointed. SEMA Cruise 2014 had just about everything that a true auto fan would love. Leading the cruise was the 3-D printed car (known as the Strati) coming from Local Motors. Things only got better from there. During the two mile stretch down Paradise Road, we saw dozens and dozens of bold, innovative rides, everything from a 1960s Batmobile to original works coming from West Coast Customs. It was truly amazing. For anyone not involved in the mishap, it was actually pretty funny to watch. Luckily, we got that video for you, too. In the end, all of these factors helped to make this one of the best SEMA Cruise’s in recent memory. Even show promoters couldn’t help but comment on how well everything turned out. “We were expecting maybe 3,000 people, but over 20,000 had registered 24 hours prior to the event,” said SEMA spokesman Peter MacGillivray. That certainly sounds like a HUGE success, and just another reason why we can’t wait until 2015! This entry was posted in Autoshows, Culture and tagged 4wheelonline, ferrari italia, Jeep Wrangler, local motors, SEMA Cruise 2014, strati, video. Bookmark the permalink.